May 20th, 2018: Singapore: TrakInvest, a virtual trading platform headquartered in Asia that has tokenized academic certifications, reputation systems, and trading data ownership, today announced that it plans to migrate the TrakInvest platform to Hedera hashgraph. TrakInvest has been focused on providing online certifications, upskilling programs, and job opportunities through its partnerships with universities, corporations and governments. 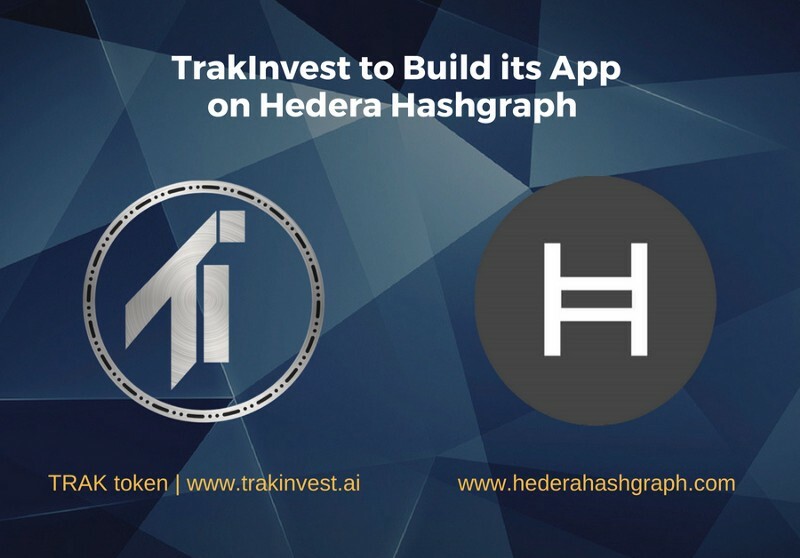 One of the key projects TrakInvest will leverage Hedera hashgraph for is the Digital Certifications Program (“DCP”), which will create the processes and infrastructure to bring academic certifications for Asian institutions on a public distributed ledger. This article has been featured on Bitcoin PR Buzz, Coinidol & Coinmining.